Firm of the Future profile series about thriving firms who are benefitting from the cloud and QuickBooks® Online Accountant (QBOA) to better serve clients and find new revenue opportunities. KR: We offer bookkeeping, payroll and tax services on the compliance side. We are also QuickBooks experts so our clients don’t have to be, specializing in QuickBooks cleanup and training. Clients are great at what they do, but when it comes to the financial aspect of their business, they don’t know what they don’t know. That’s where we come in. This quote comes to mind: “Give a man a fish and you feed him for a day. Teach a man to fish and you feed him for a lifetime.” We strive to educate our clients on why keeping good books is so important, and then work with them on how to use those numbers to achieve their dreams. 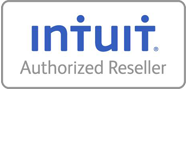 Teamwork makes the dream work, and my team includes the client, Intuit® and our firm. KR: I had created a very good “job” for myself, but it had stopped there, until being at that conference and seeing where our industry was heading. It was really an eye opener for me. I realized that I could be at the forefront of our industry by striving to be a Firm of the Future and grow beyond a firm of one. I can create a firm that will be worth selling.